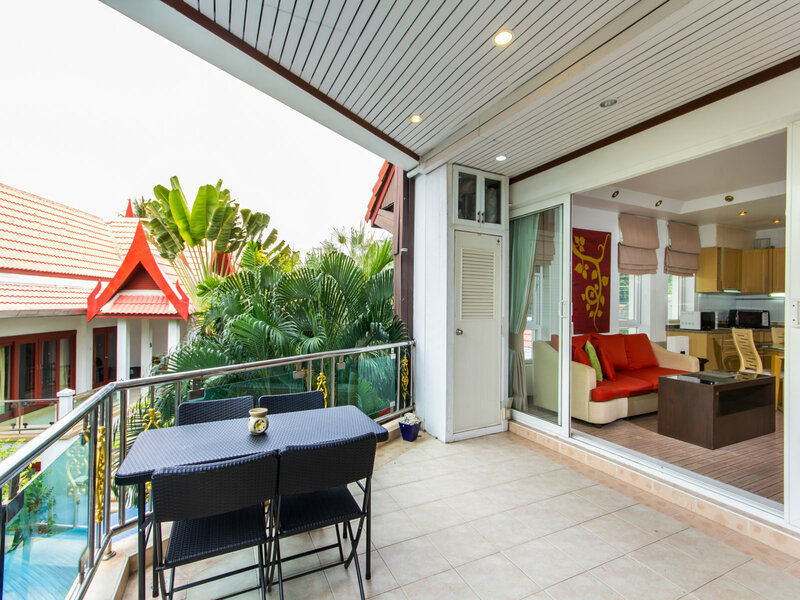 This magical beachside apartment at Royal Living Samui lives up to its description. Comfortable in its wonderful surrounds, it has 2 bedrooms with en suite bathrooms, one with a Jacuzzi bath. 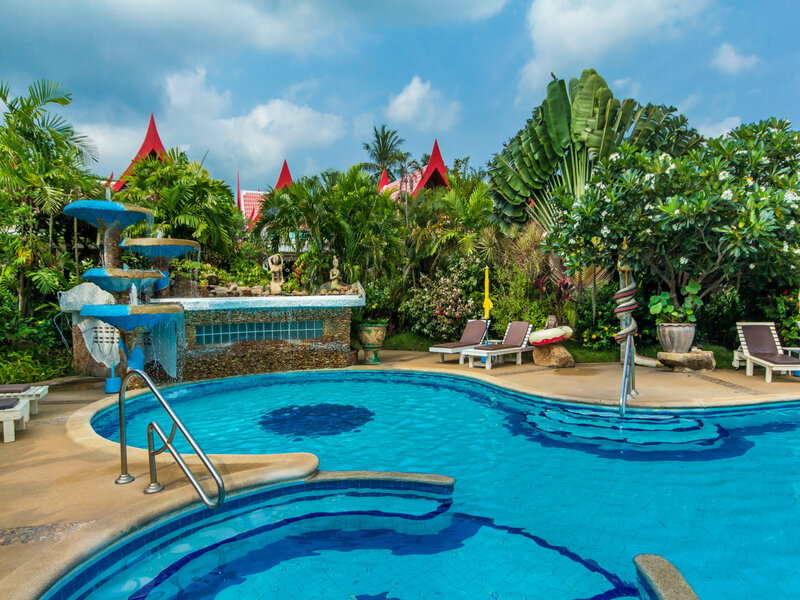 Relax in the stylish large pool featuring and elaborate fountain and children’s pool. 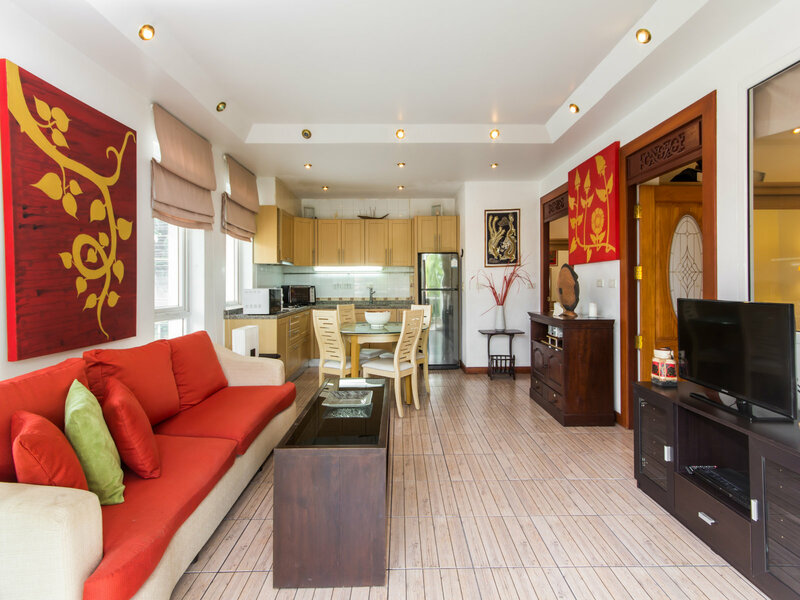 The apartment has kitchen, lounge and dining areas with a covered patio with pleasant sea breezes and amazing views. 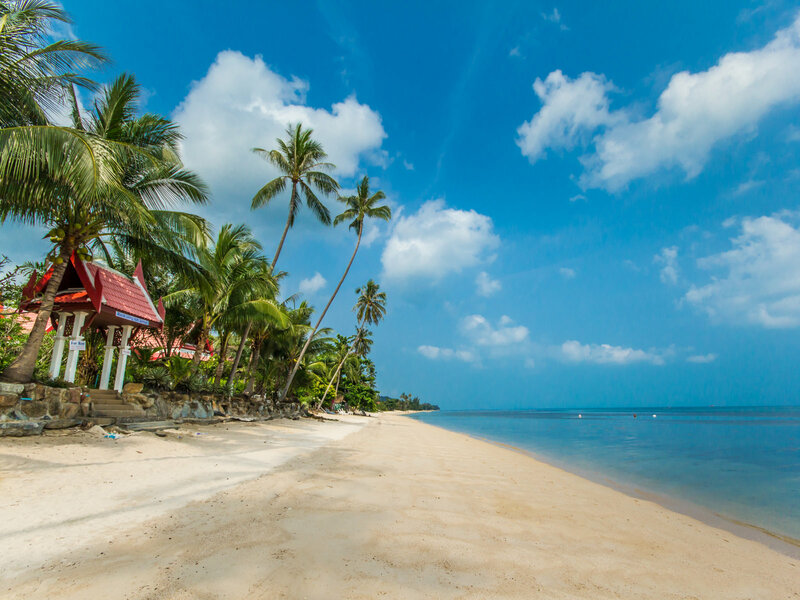 Just a short walk through the tropical garden to the awe inspiring, totally unspoiled white sand beach and warm blue sea of the Gulf of Thailand. There are several local bars and restaurants along the beach. Paradise is here.